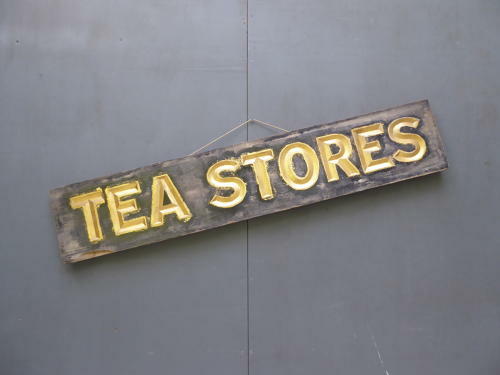 A beautiful original antique 'Tea Stores' wooden sign. A wonderful, very unusual sign, v-carved, gilded & featuring some beautiful workmanship. A stunning piece. Wear commensurate with age, good unrestored condition. UK courier service available at £15, tracked & signed for 24 hour delivery.